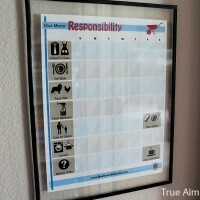 One of my favorite ways to build character in kids is to look to your daily activities. 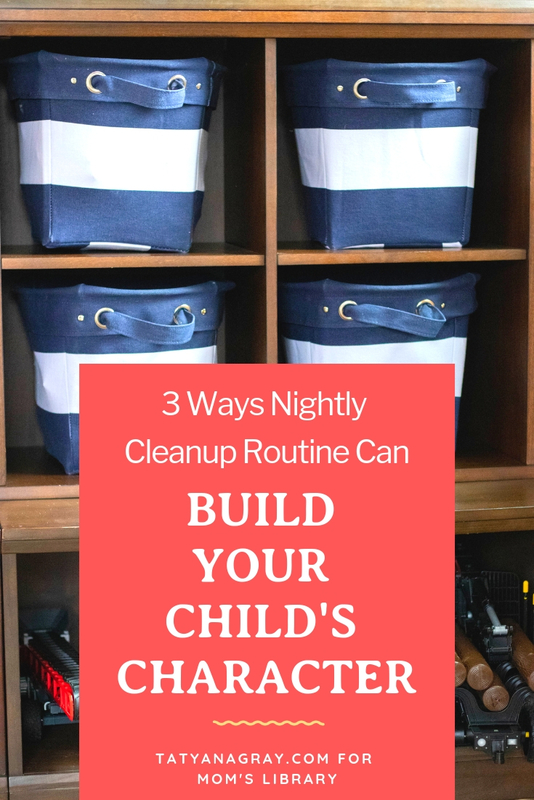 Use those as a springboard for working on your children’s desirable qualities and a cleanup routine is the perfect place to start! 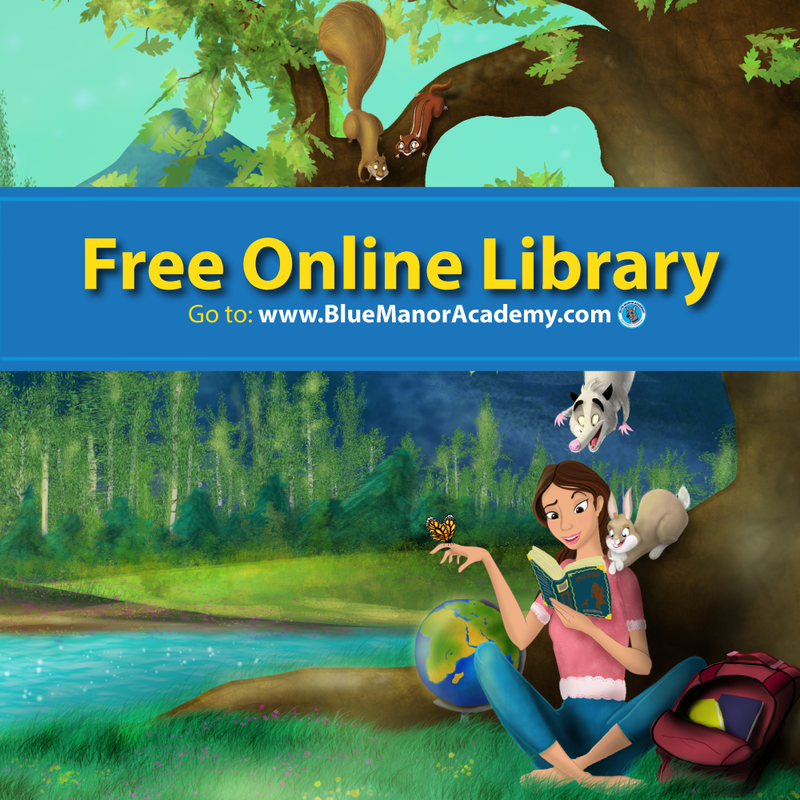 As moms of young kids, we definitely focus a lot on our littles’ academic development. 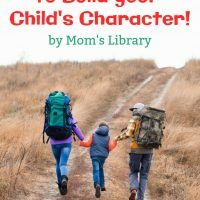 In fact, I’m embarrassed to admit that until I started seriously looking into the pros and cons of homeschooling, character building was not even on my radar. 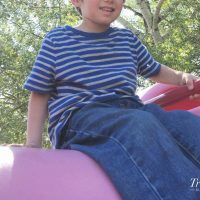 Nowadays, we spend a lot of our time in character-building activities, and I love seeing my son making leaps and bounds with developing good character traits like patience, compassion, service, etc. 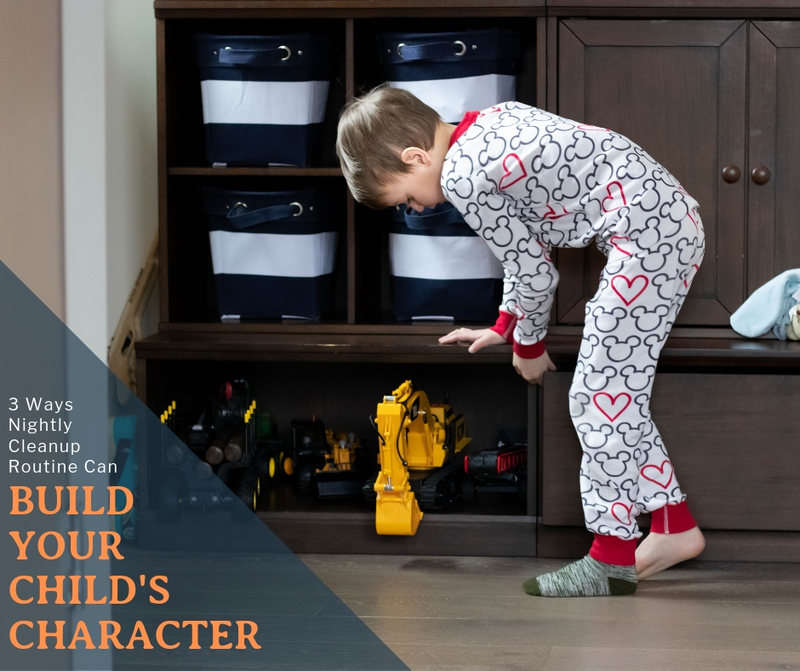 One of my favorite ways to build character in kids is to look to your daily activities and use those as a springboard for working on your children’s desirable qualities. For example, a nightly cleanup routine builds and improves the character traits of cleanliness, obedience, and teamwork. Whether or not you believe that “cleanliness is next to Godliness,” there are many ways to work on building this character trait… from personal hygiene like brushing teeth and bathing to the cleanliness of your surroundings like keeping your room or house neat and organized. Personally, it’s hard for me to function well in the middle of chaos and clutter. Do you ever feel your blood pressure rising when you walk into a room full of stuff on every surface (floors, counters, tables, beds, couches, etc.)? I think we all do better when we have some breathing room! And a nightly cleanup routine will teach your child to pick up and put away his or her toys, books, and clothes in their proper place. This is where closets, dressers, bins, and other storage solutions come in handy. 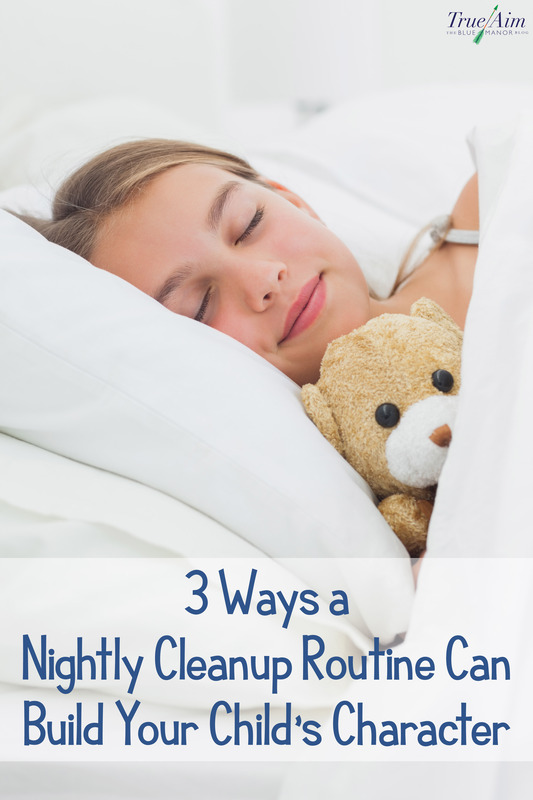 You might think: “What’s the point of having my kid cleanup every night? He’ll just make a complete mess again tomorrow.” True! Happens all the time at our house, too. But don’t get discouraged, precious mama! The daily practice of cleaning up is what actually builds the character in your child. Who wouldn’t love to have kids that listen to what you say the first time and do it without whining and complaining? Me!!! This is the type of obedience that a nightly cleanup routine lets you practice. You can start asking your kids to help with the cleanup of their stuff as early as two years old. Regardless of their age, in the beginning, you will probably encounter whining and resistance (a.k.a. disobedience) from any child. Cultivate your child’s obedience to your request with gentleness. Be satisfied if your two-year-old picks up just one toy and puts it away. Ignore his or her rumblings and protestations and give lots of praise for a job well-done. Raise your expectations week-by-week or day-by-day, depending on your child’s progress. Of course, you would expect more from the get-go if you start this cleanup routine with an older child. The goal is to remain firm (but not mean) until your child complies with your command, i.e., obeys you. Another trick is to be consistent yourself. Sometimes, as a parent you get so tired that you might not care if your child picks up the toys or not. And listening to his or her whining and negotiating to get out of doing cleanup might feel like more than you can bear. Don’t give up! The more consistent you are, the more obedient your child will become. As soon as you start seeing progress with your child’s obedience with the cleanup routine, you can start expanding it to other behaviors and tasks. We view our family as a team, and every family member needs to contribute. 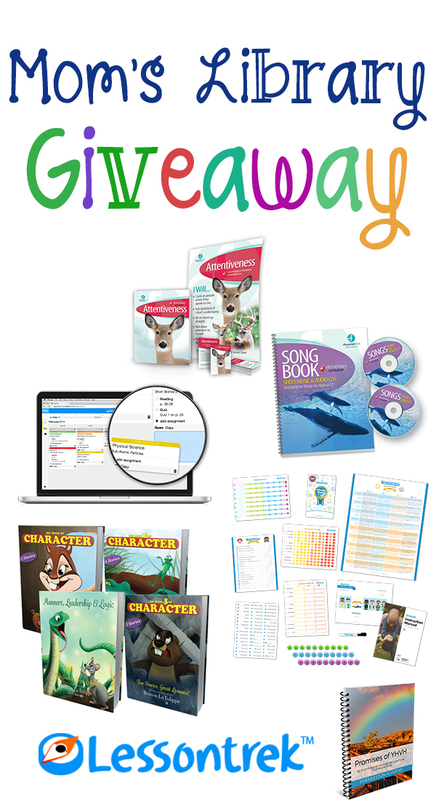 So, help your kids build the character trait of teamwork while young, and they will be well-prepared to participate in group school/co-op projects, team sports, and on teams in the work environment. Cleanup time is perfect for building teamwork because you act as the leader delegating a task, as well as a teammate helping pick up the stuff. Through this simple activity, your child will be exposed and learn how to delegate, how to follow instructions, and how to share responsibility—all part of teamwork! I love nightly cleanup time with my son. One night, I might put him in charge of picking up and putting away all his trucks; and I will make myself responsible for putting away all of his building blocks. We switch it up every evening, depending on what kind of toys or books are out. Our cleanup routine often feels like a game or even a friendly competition. 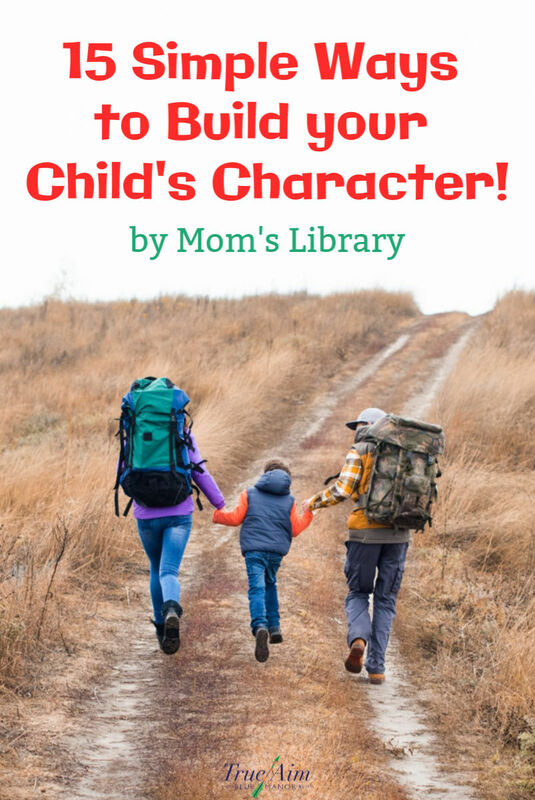 I hope, wonderful mama, that you already, or come to, value character building as much (or even more) than your children’s academic achievements. Now, I know that character formation might sound like such a daunting task. However, your daily simple activities often provide some of the best opportunities to focus on practicing those valuable character traits. Give it a try with this nightly cleanup routine!!! And let me know if you have any questions or suggestions or even your own simple ideas on character building. Tatyana Gray is a homeschooling mother of two. 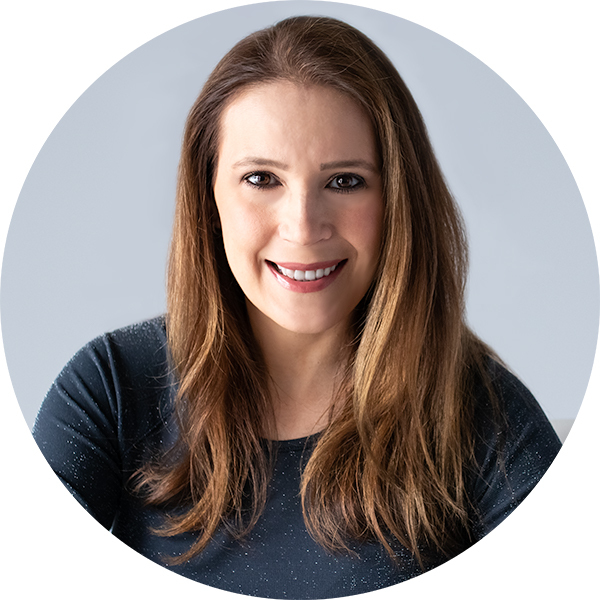 She has walked away from a career as a lawyer to be a full-time wife and mother and has never looked back. 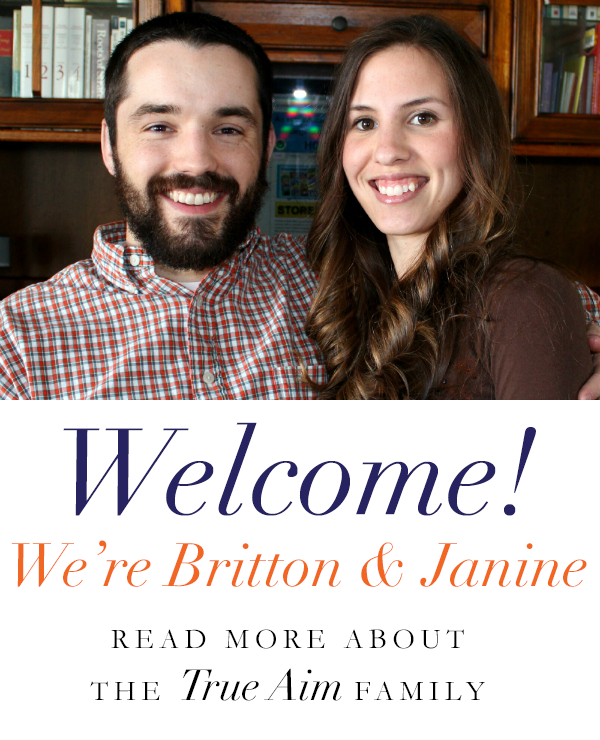 She now writes about family, motherhood, and home education at her blog, Tatyana Gray. 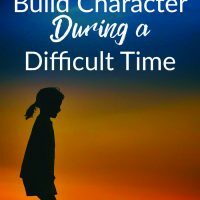 Get even more tips on building character! « Increase Self Control in Your Kids with One Simple Game!